The legendary Jetsurf Rider Jeff is back again to complete his Big Wave riding challenge in Nazaré, Portugal. Everything went smooth until…the drama starts. WAIT FOR IT! 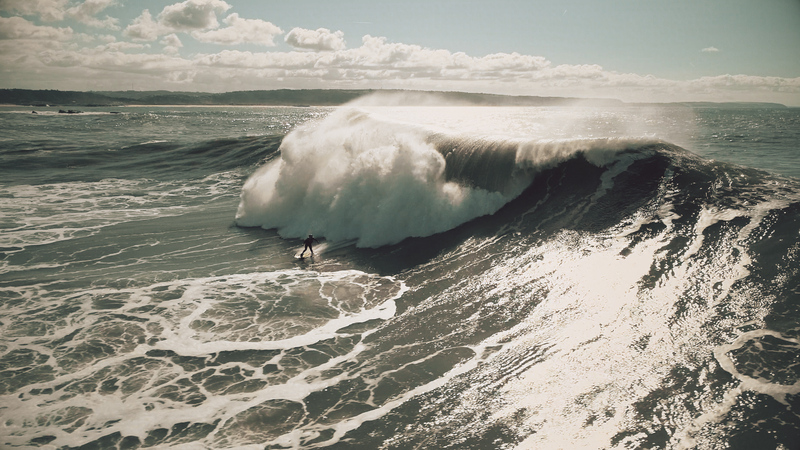 Enjoy this short film packed with action, breathtaking big waves, excitement and drama! Praia do Norte beach, near the fishing village of Nazaré, has become famous worldwide for huge waves in 2011, when Hawaiian surfer Garrett McNamara set a world-record for the largest wave ever surfed: 24 meters (78-foot). Today the beach is becoming a popular place for daredevils to test their skill. Recently it became one of the stops of the WSL Big Wave Tour. This week a new hurricane Helene is bringing a bomb-size epic spell… and the action begins!